You are currently browsing the Western Custom blog archives for June, 2011. Vertical sliding casement windows can be difficult to raise without a finger managed sash lift. Before the stamped, hardware store varieties, now commonly found in most chain stores, craftsman painstakingly cast these in Solid Brass. They were much heavier, and more sturdy, than the stamped metal versions common today. 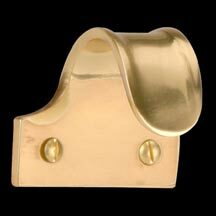 These beautiful, sculpted Solid Brass Sash Lifts are still made today in England. Using techniques passed down from generations, these are available to add period charm to any vertical sliding window. Many Period Style homes utilize casement windows. A popular sash lock used in the early 20th Century was a locking mechanism called a Brighton Sash Lock. These spring loaded, twist style locks trace back to England, where they were cast from Solid Brass, and imported to the United States. 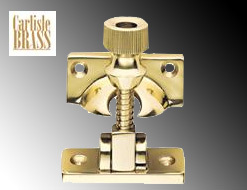 These elegant sash locks add character and charm to any casement style window. Security is another added benefit. These sturdy locks may prevent intruders from opening windows undetected. These days, security is a must. These can be a valuable addition to any home, vintage or modern.